Lent, Live@First, Upcoming Events, What's new? Last month’s Live@First Concert, featuring The Vienna Boys Choir, raised over $7,400 for the Methodist Children’s Home Society. These donations bring our total to over $10K that we’ve given away to local charities this season! Let’s fill the sanctuary again to raise money for Cass Community Social Services at our next concert, “An Easter Vigil” on Saturday, April 20 at 7 pm. 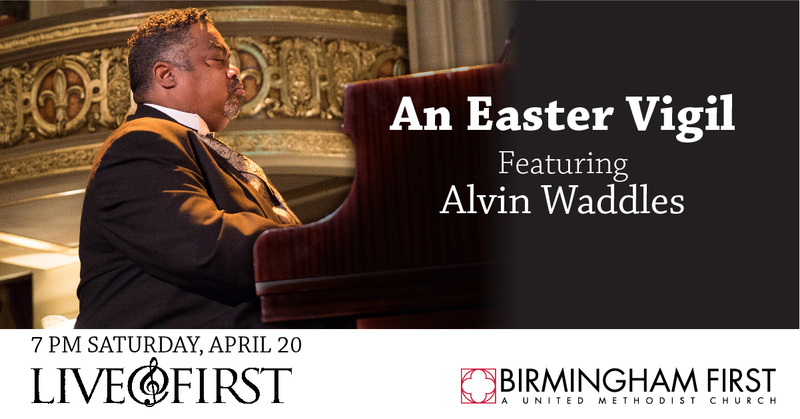 The concert will feature “Detroit Original” Alvin Waddles, the gospel group “Testimony Sings”, and Birmingham First’s own Wendy Baker, Tyler Bouque, Robyn Campagne, Tiffany Ericson, and DeAnn Forbes Ervin. Come support Cass and prepare your heart for Easter! Freewill donation to Cass Community Social Services. More information about this concert and all of our Holy Week offerings can be found here.